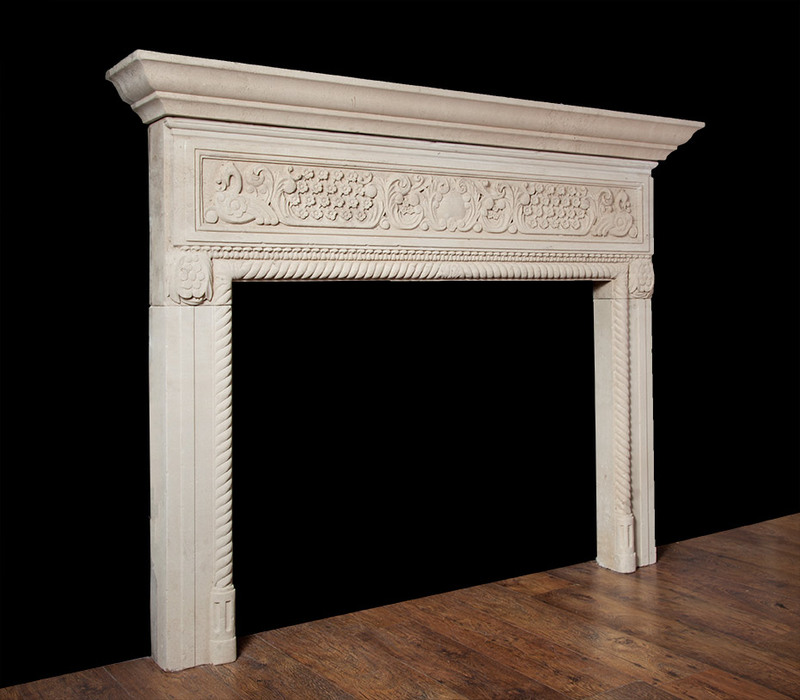 This magnificent mid 19th century stone fireplace features a rope twist moulding around the aperture, a substantial deep shelf and a highly carved frieze. 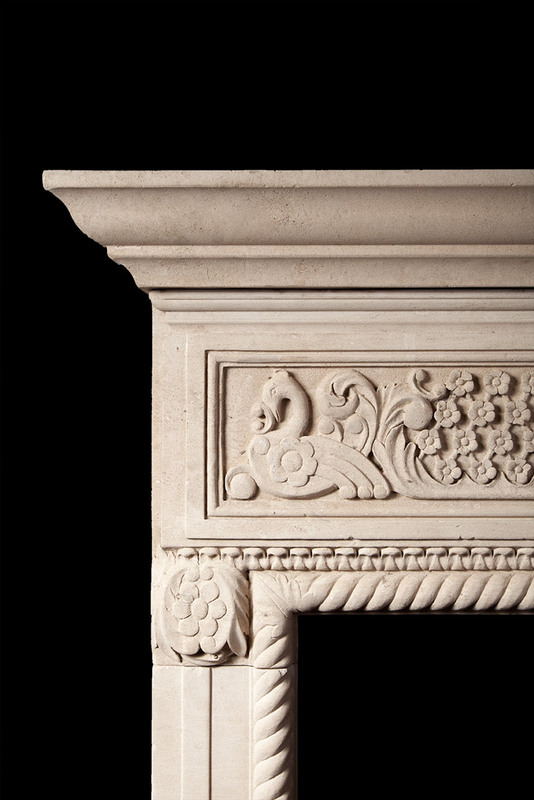 The carved frieze is centred with a laurel cartouche, flanked by clusters of small rose heads and stylised swans. 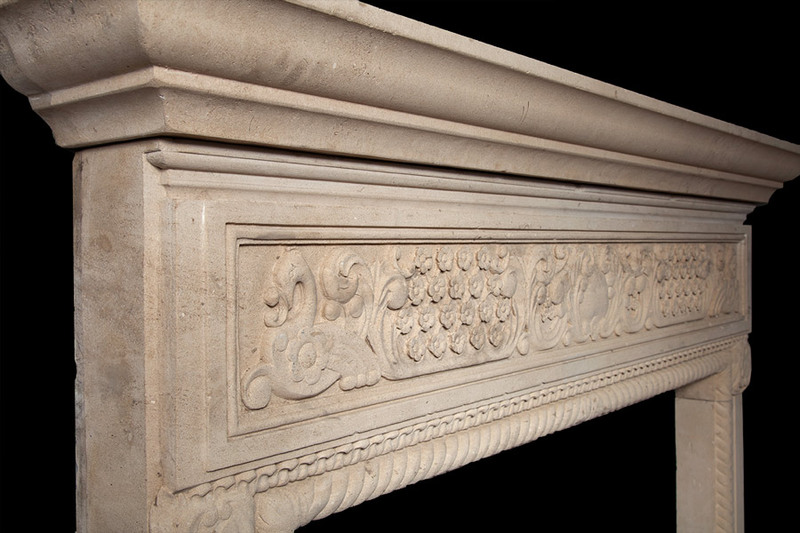 Elizabethan architecture is the term given to early Renaissance architecture in England, during the reign of Queen Elizabeth I. 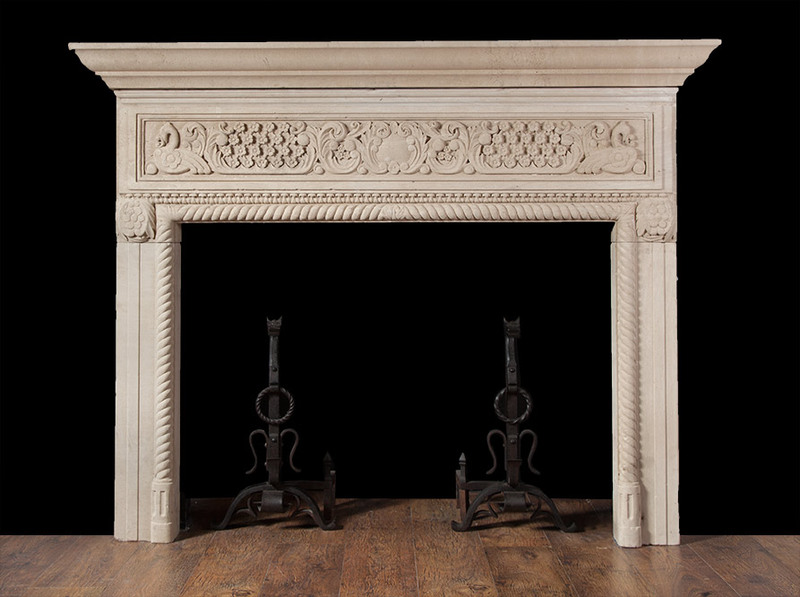 It followed Tudor architecture and was succeeded in the 17th century largely by its stylistic extension, Jacobean architecture.